A Two-Week Diet Plan To Look Fit & Fabulous At Your Wedding! Brides-to-be, are you worried about not looking fit on your D-day? Well, if so, here's what you would love. We understand that days before your wedding are tiresome, both physically and emotionally. 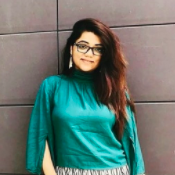 So, to set you right, we got in touch with Akansha Jhalani, clinical nutritionist and founder of Beyond The Weighing Scale, to curate a two-week sample diet plan just for you. The diet plan has options for vegetarian as well as non-vegetarian brides. You can follow it for months, alternating the plans for both weeks. It is simple to follow with many alternatives and is guaranteed to make you feel and look amazing! Hydration and a good amount of sleep cannot be ignored! Drink as much water as you can and do not think eight glasses are enough. If you can, go up to 4-5 litres of water a day and it will only do you good. You can sip warm water through the day. It is the best way to aid your digestion processes. Also, cheating once in a while is fine. After all, you'll be out shopping and indulging once a week won't harm you. However, make sure that your cheat meal does not turn into a cheat day. Let us know if you like the diet plan and think its doable. 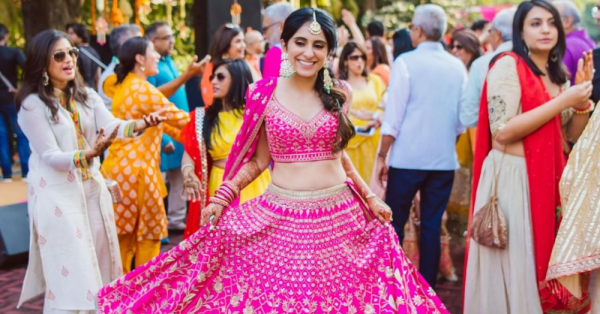 After all, certain sacrifices only make their way to a glam lehenga, don't they?